Welcome to my last post in the Quedam #FallForStyle series - this is the one that shows the new season pieces that I couldn't squeeze into the £100 budget yet, are still on the wishlist (and let's face it, will probably end up in the walk-in before Bonfire Night!). These first two pictures cam straight from my InstaStories feed on the day - How AMAZING is the first look from New Look!! Lace and ripped denim for the AW WIN!!! The whole look is available at New Look at The Quedam Centre. This dress... This has party season written all over it! I love the colour, the cut and the gold belt detail. Buy now and love next summer too!! 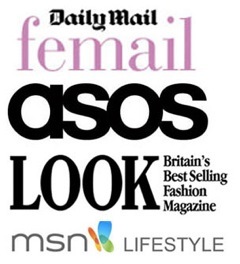 Buy online here or in New Look at The Quedam Centre. Who doesn't love a stripe?? 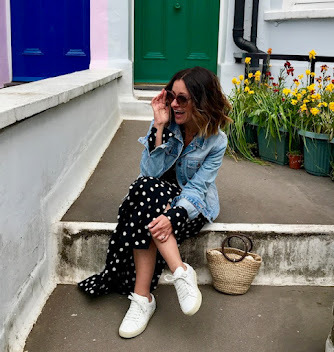 If you follow my blog or social media, you'll know I'm rarely seen without a good Breton top! This one was in the H&M teens sections at The Quedam Centre (upstairs). On that, as a new Mum, I'm overwhelmed with how good H&M is for babies and kids - expect to see Miss Olivia head to toe in H&M this season!! 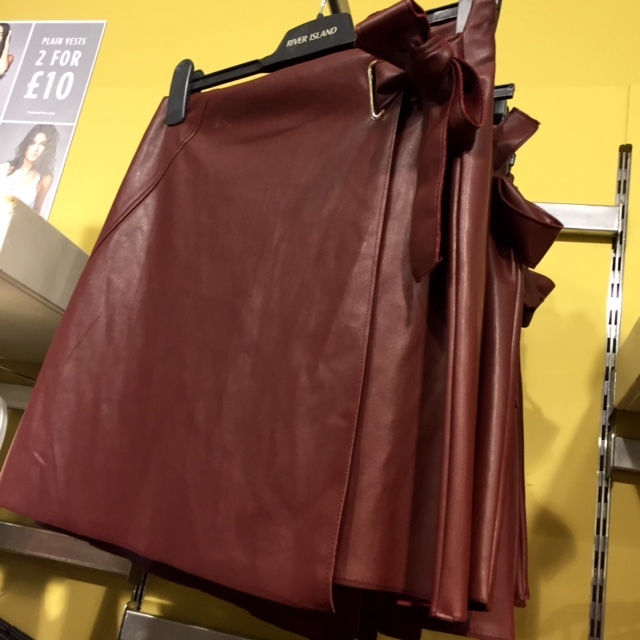 Ok ok, so I did buy this skirt in black but I also want this one too - Just add a black roll neck or a chunky knit and biker boots to this beauty in River Island! Buy here or in store at The Quedam Centre. If you follow me on Instagram (follow here), you'd have already seen this look - All H&M in a sneaky changing room selfie. Frills are huge this season, literally!! 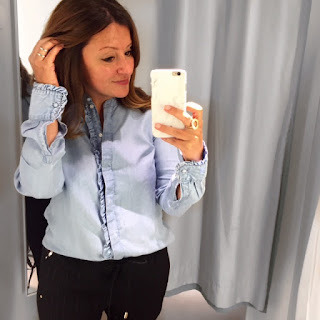 My petite frame doesn't suit a heavy frill however, this chambray shirt is perfect as it doesn't swamp me. Buy the shirt in store or online here. Oh M&S, what are you doing to me!! This V neck knit has since come home with me - I'm wearing it with my ripped Mom jeans and Stan Smiths. Get this Limited Collection knit in M&S on the first floor at The Quedam Centre or online here. As a side note - the M&S shoe collection this year is ON POINT!! You need to get in and shop! More choker action in H&M!! I'm a huge fan of the H&M accessories department. This knitted Bomber from Primark is available in 4-5 colours and is perfect for transitional dressing as the seasons change - all available on the ground floor! I want to say a HUGE thanks to The Quedam Centre for a great day, the spends and the laughs! !